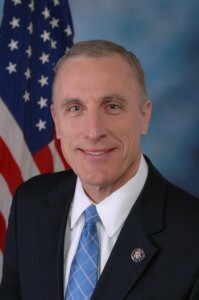 Rep. Tim Murphy is in strong shape for the coming primary according to a polling memo released by his campaign Tuesday. The survey, conducted by Public Opinion strategies, shows the incumbent with a commanding 62 point lead. The full memo is embedded below. It also confirms what Feinberg and his supporters already know: he must convert his popularity with national conservatives – and his talent for earned media – into support on the ground. He’s earned endorsements from a number of conservatives groups such as FreedomWorks, and yesterday scored the endorsement of his former employer Sen. Tom Coburn (R-OK). Murphy, meanwhile, picked up the support of two of the most active pro-life groups in Pa. and the country: the National Right to Life PAC and the Pennsylvania Pro-Life Federation PAC. An endorsement by the National Rifle Association is likely forthcoming. It will take a boost in fundraising, too. Feinberg reported $40,000 cash on hand at the end of 2011, exactly $1 million behind Murphy. All that said, as with any internal polling take this with a grain of salt. The crosstabs and specific language of questions were not made public. The mere fact that the Murphy campaign is releasing these numbers to the public shows that they are taking Feinberg seriously. The poll was conducted January 15-16, 2012 and has a margin of error of +/- 5.66% in 95 out of 100 cases. Update: Feinberg says the results are out of date. “Since this poll was conducted in mid-January by Arlen Specter’s pollsters, my volunteers and I have knocked on over 10,000 doors, spoken at dozens of grassroots events and secured major endorsements from local job creators like the Associated Builders and Contractors, conservative leaders like Senator Tom Coburn and groups like FreedomWorks,” he said. The Democratic candidate is Washington County Commissioner Larry Maggi. Is this before or after the Coburn endorsement? Oh wait it doesn’t matter because Coburn has no pull here and know one knows him. Evan can’t even beat him in the tea party category.